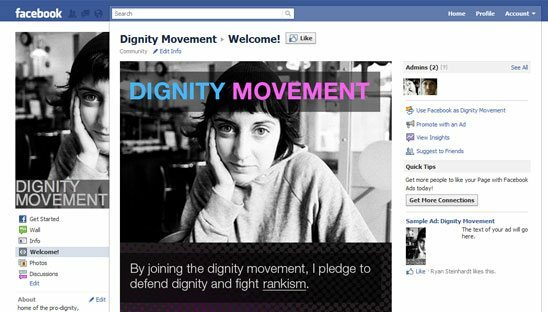 Home of the pro-dignity, anti-rankism movement. We went with an edgy cool design for this FBML facebook design page. Also styled the FBML Comments Plugin.